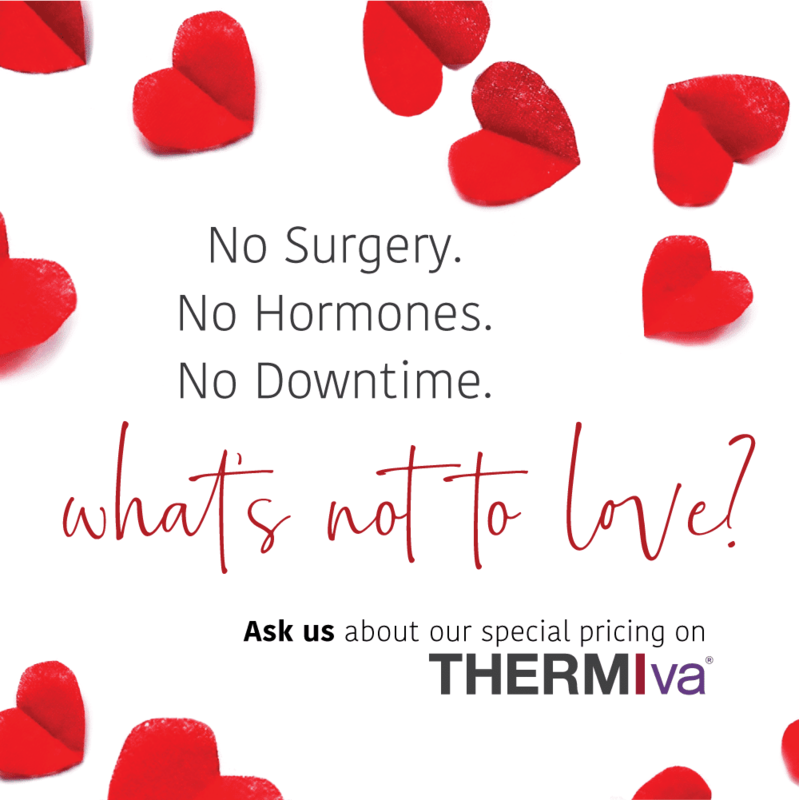 Receive 3 ThermiVa Rejuvenation Treatments for just $1950 – Mention this offer when booking! • Standard Brilliant Distinctions® program rules and conditions apply. For more information about the Brilliant Distinctions® Program, including a list of eligible products and full program Terms and Conditions, see BrilliantDistinctionsProgram.com and the Brilliant Distinctions® FAQ. • Rebate(s) valid for $100 off BOTOX® Cosmetic treatment(s) starting January 1, 2019 at participating Brilliant Distinctions® provider offices only. • Limit four (4) rebates per member/purchase, one (1) redemption per rebate. • No refunds or cancellations. Please allow up to 24 hours for processing. Please allow 3 business days to receive your rebate(s). • Rebate(s) valid for new and existing Brilliant Distinctions® members. Must be a Brilliant Distinctions® member at time of rebate redemption to be eligible. • A healthcare specialist will decide if member is an appropriate candidate for BOTOX® Cosmetic treatment. If member is an appropriate candidate, the rebate will be applied toward the cost of the member’s BOTOX® Cosmetic treatment at a participating provider’s office. • If member is not an appropriate candidate for BOTOX® Cosmetic treatment, rebate may be applied toward the purchase of any treatment in the Brilliant Distinctions® Portfolio, excluding SkinMedica® and LATISSE® (bimatoprost ophthalmic solution) 0.03%, at a participating provider’s office. • Rebate(s) cannot be applied to past transactions. • The complete value of each individual rebate must be used in a single transaction. No balance or refund will be extended for unused portions. • Only one (1) rebate can be used per transaction. Rebate(s) cannot be combined with other Brilliant Distinctions® rebates, but can be combined with standard Brilliant Distinctions® Rewards. • Members will earn Brilliant Distinctions® points on qualifying treatments and purchases. • Rebate(s) not valid and points are not awarded for a BOTOX® Cosmetic treatment if it has been less than ninety (90) days since a member’s last BOTOX® Cosmetic treatment. • Allergan reserves the right to alter or cancel this offer at any time. 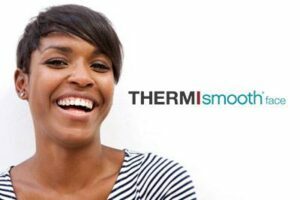 Commonly used on the forehead, eyes, cheeks, mouth and neck, THERMIsmooth uses gentle temperature-controlled radio frequency to smooth lines, alleviate undereye bags and give a youthful, natural appearance.